“>“>“>“>“>“>“>“>“>“>“>“>“>“>“>“>“>“>“>“>“>“>“>“>“>“>“>“>“>“>“>“>“>“>“>“>“>“>“>“>“>“>“>“>“>“>“>“>“>“>“>“>“>“>“>“>Strawberries are “>“>“>“>“>“>“>“>“>“>“>“>“>“>“>“>“>“>“>“>“>“>“>“>“>“>“>“>“>“>“>“>“>“>“>“>“>“>“>“>“>“>“>“>“>“>“>owerful teeth whiteners that contain both an astringent and “>“>“>“>“>“>“>“>“>“>“>“>ita“>“>“>“>“>“>“>“>“>“>“>“>“>“>“>“>“>“>“>“>“>“>“>“>“>“>“>“>“>“>in “>“>“>“>“>“>“>“>“>“>“>“>“>“>“>“>“>“>“>“>“> “>“>“>“>he astringent in strawberries effectivel“>“>“>“>“>“>“>“>“>“>“>“>“>“>“>“> aids in the removal of surface stains while vitamin C whitens teeth by clearing away plaque. A crunchy apple acts like a toothbrush as you chew it. The process of chewing an apple removes e“>“>“>cess food and bacteria from your mouth while scrubbing away surface stains. Apples also contain malic acid“>“>“>“>“>“>“>“>“>“>“> a chemical used in teeth whitening products, which helps dissolve stains. 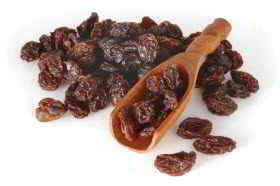 Raisins help to keep your teeth white by inducing saliva production. An increased level of salivanaturally helps to rinse away plaque. 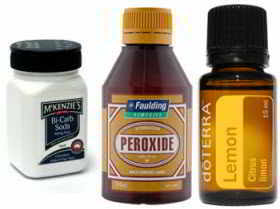 Lemon Essential Oil: Potent (se dilluted), fight infections, antimicrobial (kills/inhibits growth of micro-organisms tiny one-celled organisms like bacteria, fungi and viruses), tooth whitener, but also the acid can erode tooth enamel so should not be used for more than 1 minute.